The American College of Medical Toxicology will hold its Annual Scientific Meeting entitled “Bench to Bedside: Neurologic and Metabolic Toxins” in Huntington Beach, California from March 18-20, 2016. The conference will feature research and discussion of neurologic and metabolic toxins, conditions that may predispose to or be mistaken for toxicologic illness, and diagnostic approaches used to evaluate toxin-related illness. 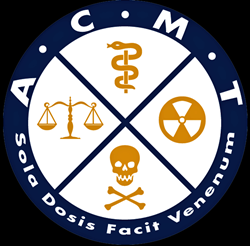 The American College of Medical Toxicology (ACMT) will hold its Annual Scientific Meeting in Huntington Beach, California from March 18-20, 2016. The conference will focus on mechanisms, diagnostics, and treatments related to metabolic and neurologic toxicity. A review of specific metabolic and neurologic conditions that may predispose to toxicity or be mistaken for toxicologic illness will also be presented. This three-day educational program is intended for physicians and other health care providers wishing to learn about recent advances in the understanding and management of poisoning syndromes. The conference will be held at the Waterfront Beach Resort. The distinguished speaker lineup includes Wendy K. Chung, M.D., PhD., a Kennedy Family Associate Professor of Pediatrics and Medicine at Columbia University Medical School. Dr. Chung will be delivering a presentation on the genetic predisposition to toxicity. Barbara S, Koppel, M.D., the Chief of Neurology and a Professor of Clinical Neurology at New York Medical College will present the latest evidence regarding use of cannabinoids in the treatment of neurologic disorders. Additionally, Marya G. Zlatnik, MD, MMS, a Professor of Obstetrics, Gynecology and Reproductive Sciences at UCSF, and a Maternal Fetal Medicine specialist with clinical expertise in ultrasound and the diagnosis of fetal abnormalities, will lead a discussion on communicating risk to pregnant patients following exposure to neurologic and metabolic toxins. In addition to these presentations, leading medical toxicology experts will discuss mechanisms and treatment of toxin-induced seizures, toxicity of newer anticonvulsants, and the metabolic effects of natural toxins including those found in plants and marine life. The Annual Scientific Meeting will follow a special satellite session highlighting the role of the Medical Review Officer (MRO) and Advanced Drug Testing Interpretation on March 17, also sponsored by ACMT. The satellite session is open to all healthcare providers and will provide in-depth education regarding the role of the MRO, positive test confirmation, and drug testing in addiction treatment. The session will also cover applications and limits of synthetic cannabinoid testing. For more information and to register, please visit: http://www.acmt.net.